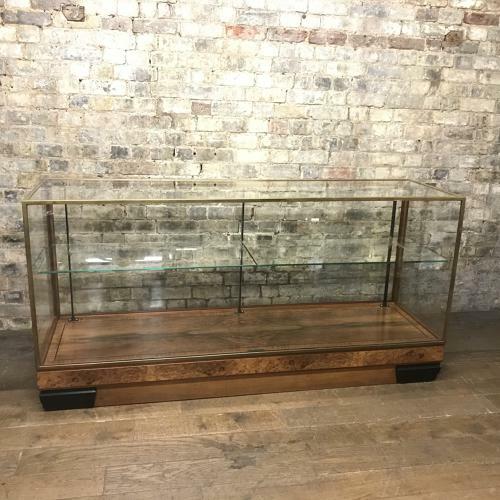 This is a beautiful antique shop counter, in perfect condition from the 1920s. It has a touch of Art Deco style with a fabulous burr walnut base and interior. It has one adjustable glass shelf, and two sliding glass doors that lock. It is also bronze framed, which is very rare. Purchased from a jewellery shop in Edinburgh - so it would be ideal for any luxury jewellery store or clothes retailer.